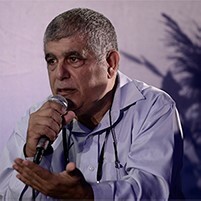 Dr. Azani currently serves as Director of Research of the Institute for Counter-Terrorism (ICT) and the Head of the BA and MA Specialization in Counter-Terrorism and Homeland Security at the Lauder School of Government, Diplomacy and Strategy at the Interdisciplinary Center (IDC) Herzliya. He is a Colonel (Res.) in the Israel Defense Forces (IDF) with operational, research and academic experience in counter-terrorism in the regional and international arenas. He previously served as the Deputy Executive Director of ICT. As part of his position at ICT, Dr. Azani maintains working relations and advises both private and government entities on counter-terrorism issues. Dr. Azani lectures at the Lauder School of Government, Diplomacy and Strategy at IDC Herzliya and additional security and organizational establishments in Israel and abroad. He testifies on the subject of Hezbollah in front of the United States House of Representatives’ Committee on International Affairs as well as the European Parliament. Eitan Azani obtained his B.A. in Economy, Political Science and Geography at Bar Ilan University, Israel and his M.A. (with honors) in the Security and Strategy Studies Program of Tel-Aviv University. Dr. Azani's Ph.D. dissertation for the Hebrew University, Jerusalem was on “The Development of Revolutionary Islamic Movements a case study of Hezbollah. Dr. Azani is the author of Hezbollah: The Story of the Party of God - From Revolution to Institutionalization, praised as "a detailed study by a true scholar-practitioner, ... should be required reading for anyone interested in really understanding this complex political, social and militant organization." He is also the author of many scholarly articles and edited volumes – including: The Hybrid Terrorist Organization: Hezbollah as a Case Study, Studies in Conflict and Terrorism, pp. 899-916(36), 2013 & Hezbollah's Strategy of “Walking on the Edge“: Between Political Game and Political Violence, Studies in Conflict and Terrorism, pp. 741-759(19), November 2012. On July 22, 2013, the European Union voted to designate the military wing of Hezbollah as a terrorist organization. A few days before, on July 09, Dr. Eitan Azani, Executive Deputy Director of the International Institute for Counter-Terrorism (ICT), traveled to Brussels at the invitation of the European Parliament in order to testify in front of the Committee on Foreign Affairs at a Hearing on the blacklisting of Hezbollah. Between 2005 and 2011, Hezbollah evolved as a hybrid terrorist organization, strengthening its military and political capabilities and winning Lebanese hearts and minds. Following the assassination of former Lebanese Prime Minister Rafiq al-Hariri in which Hezbollah was ultimately implicated by the Special Tribunal for Lebanon, Hezbollah exploited tensions between pro- and anti-Syrian factions in the Lebanese government to increase its political clout. Although decimated by the 2006 Second Lebanon War, Hezbollah used Iranian funding to repair civilian infrastructure – and replenish its arsenal. This it used to both violently gain ground on the Lebanese street and to maintain its “deterrence” against Israel. As a consequence of these efforts, Hezbollah has become an essential component of every Lebanese government since 2008, and continues to threaten Israel from the north.